Photographer and retouch artist Erik Johansson produces some remarkable illusions. If you are curious about how his latest image—entitled Landfall—was put together then this video has a lot of the answers as Erik takes us through the process from concept to completion. Also, have a look at Erik's other talented recent art below. 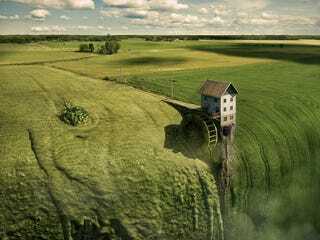 Erik Johansson is a professional photographer and retouch artist based in Berlin. He works on both personal and commissioned projects and sometimes creates street illusions. You can visit his personal website, and follow him on Twitter or on Facebook. You can also buy his prints here.